Do you have news you want to share on behalf of your business or organization? Or maybe an upcoming event or special you’d like to share with your fellow Chamber members? Take advantage of our Digital Marketing Program! 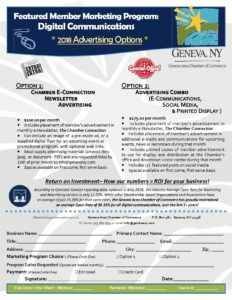 Placement of member’s advertisement in monthly e-newsletter, The Chamber Connection. Placement of member’s advertisement in additional e-blasts and communications for upcoming events, news, or reminders during that month. Printed copies of member advertisement to use for display and distribution at the Chamber’s office and downtown visitor center during that month. Two (2) featured posts on social media. Return on Investment– How our numbers = ROI for your business! According to Constant Contact reporting data, updated in May 2018, the Industry Average Open Rate for Marketing and Advertising services is only 11.22%. 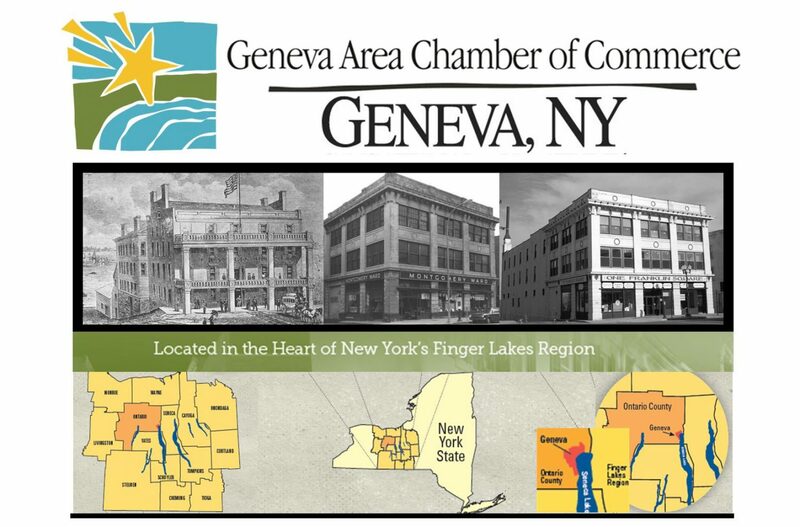 While other Membership-based Organizations and Associations have an average of just 25.28% for their open rates, the Geneva Area Chamber of Commerce has proudly maintained an average Open Rate of 30-32% for all digital communications, over the last 3+ years! To participate in this program, please call the Chamber at (315) 789-1776 or email info@genevany.com.